Our employees tend to stay. Come find out why. Work where your skills are valued. Looking to use the skills you have and acquire even more in the process? Then consider working for Beyersbergen Interiors. We value our employees, and ongoing training. Our company has specialized in complete interior finishing of major retail stores since 1973. The construction, materials, and projects we work on are diverse and constantly changing. It is a fast paced company with a fast paced atmosphere. For more information on employment opportunities, please contact us. 1. To treat all employees with respect and offer a competitive salary. 2. To supply a safe and friendly working environment. 3. To give our clients quality work for a reasonable and fair dollar value. 4. To employ individuals and offer training for them to meet their potentials. 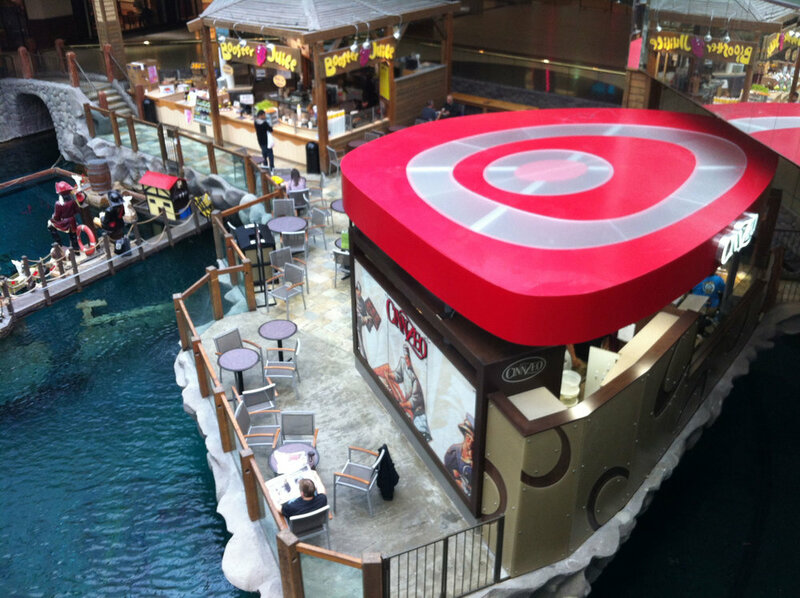 The unique, flagship Cinnzeo at West Edmonton Mall, built by us.